SACRAMENTO — The California Association for Recreational Fishing (CARF) received a favorable decision by a state appeals court Feb. 9, as a three-judge panel reversed a lower judge’s ruling and deemed a California Department of Fish and Wildlife (DFW) fish stocking policy was potentially burdensome. The ruling was issued almost three months after attorneys for CARF and DFW presented oral arguments to the Third Appellate District Court in Sacramento. Attorneys for CARF argued the state illegally drafted regulations that could have forced fishing lakes, private hatcheries and fish farms out of business. The Pacific Legal Foundation, who represented CARF, urged federal judges to protect recreational anglers and the aquaculture industry from “burdensome” regulations. “The department should hear from the general public, as well as the citizens who operate fish stocking businesses … who will be affected by [the mitigation measures], before it adopts and implements the measure,” the three-judge panel said. In its appellate brief, CARF accused DFW of breaking the law and harming the public’s recreational fishing opportunities. CARF stated its legal petition was not about whether DFW had the authority to protect state waters but instead if the agency followed proper procedures in exercising its legislatively delegated authority. The appeals court agreed with CARF’s contention and reversed a superior court decision. Russell Hildreth, an environmental attorney with the Attorney General’s office in Sacramento, represented DFW in the appellate case. The CARF decision was published Feb. 10 as part of a joint ruling. The appeals court also issued an opinion in the case of Center for Biological Diversity v. Department of Fish and Wildlife. 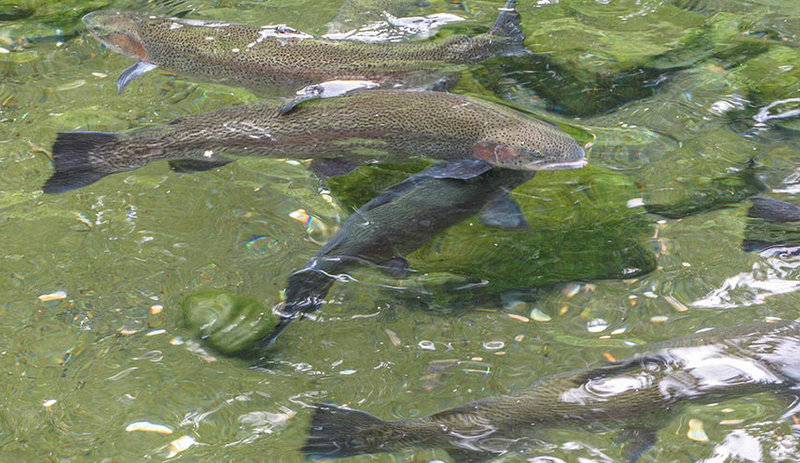 DFW earned a favorable decision in that appeal, which challenged the department’s use of environmental impact reports (EIR) to analyze a statutorily mandated fish hatchery and stocking enterprise. Joshua Thompson, who represented CARF in the appeals court, said the ruling benefits anglers and ensures DFW must properly follow the process. Hildreth was not available for comment at press time.